Very good. No dust jacket. Very Good condition, allow 5-12 business days for standard shipping. Book in very perfect condition, with no marking We also ship to PO Box Addresses. ***NO EXPEDITED shipping***. Access card / CD not included unless specified. All orders placed with expedited shipping will be cancelled. Over 5, 000, 000 happy customers. Please note that we do not entertain bulk orders. New in new dust jacket. Trade paperback (US). Glued binding. 528 p. Audience: General/trade. brand new ships same day via fedex with tracking number AND 5 DAYS GAURANTEED DELIVERY. US EDITION. New. Trade paperback (US). Glued binding. 528 p. Audience: General/trade. brand new ships same day viausps with tracking number AND 5 DAYS GAURANTEED DELIVERY. US EDITION. New. Trade paperback (US). Glued binding. 528 p. Audience: General/trade. Same day shipping with tracking number. Fair. Ship within 24hrs. Satisfaction 100% guaranteed. APO/FPO addresses supported. Trade paperback (US). Glued binding. 528 p.
New. Book BRAND NEW softcover, sealed in publisher's plastic. New. 1506362311 *NEW! * RETURNS ARE NO PROBLEM! All of our orders are sent with tracking information when possible. ALIBRIS. This is a great book for the practitioner that is wanting to study leadership as more than a "passing fancy", so to speak. It is in depth and covers many aspects of leadership. 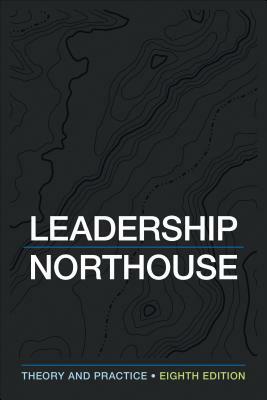 Many leadership books are very superficial on the subject, this one is not. When it says theory AND practice, that is exactly what it means, emphasis on the AND! Basically a book on comoon sense. I don't get why or how it was published to be sold.